After-Care Vitamin A+D (5g.) 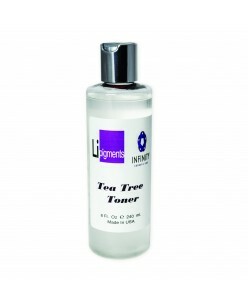 After repair for tattoo,to prevent the formation of melanin, Anti-inflammatory,carry bright color, to prevent scarring. Emollients enriched with vitamins and Aloe Vera, providing soothing relief for dry and chapped skin, temporarily protects minor cuts. Quantity: 5g. 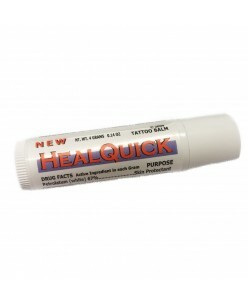 ..
After-Care Vitamin A+D (8 g.) After repair for tattoo,to prevent the formation of melanin, Anti-inflammatory,carry bright color, to prevent scarring. Emollients enriched with vitamins and Aloe Vera, providing soothing relief for dry and chapped skin, temporarily protects minor cuts. 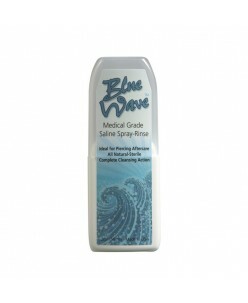 Quantity: 8 g. ..
Blue Wave Saline Cleansing Spray from Tattoo Goo® is a natural sterile saline solution designed for cleaning piercings. 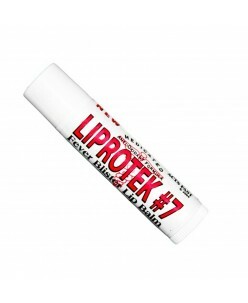 It is a 100% natural sterile solution that helps speed up the healing process in addition to cleansing new piercings. 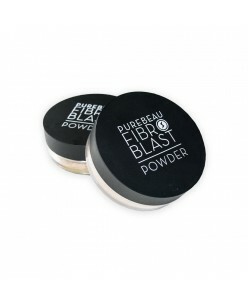 It helps by removing dried discharge and secretions to keep the piercing clean and sterile. 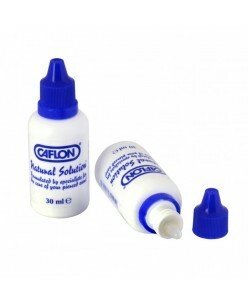 ..
Caflon® Natural Ear Care Solution (30ml) ..
Dermalize Pro Roll (15cm x 1000cm) Dermalize Protective Tattoo Film is the all-in-one tattoo aftercare solution for the initial healing stage of a tattoo: a “second skin” that acts as a barrier to protect the tattoo wound from germs and bacteria and at the same time, is permeable allowing the skin to “breathe”. By locking in .. Fade The Heat serum instantly cools with little or no Itch or irritation.Formulated to soothe, protect and repair damaged painful skin after laser treatments. 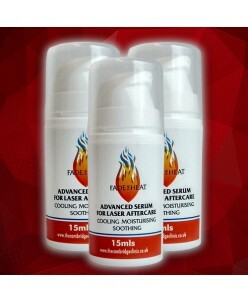 Fade the Heat revolutionary laser aftercare serum contains clinically proven and dermatologically tested pharmaceutical ingredients to reduce pain, irritation and speed re.. Fade The Itch is the first and only tattoo aftercare serum that uses patented dry heal technology to heal and protect new body art. The serum covers the artwork with a fine antibacterial shield meaning that cling film is only required for the first three to four hours post inking. 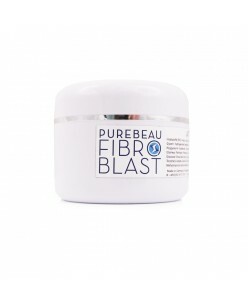 The non greasy formula is quickly and easily abs..
Healing stimulant after care balm for Fibroblast treatment.Apply Fibroblast balm to your damaged skin, once a day, in the morning.Ingredients (INCI): Aqua, Caprylic/ Capric Triglyceride, Macadamia, Ternifolia Seed Oil, Elaeis Guinensis Kernel Oil, Glycerin, Hydrogenated Vegetable Oil, Cetyl Dimethicone Copolyol, Cera Alba, ..
Healquick Tattoo Balm (4 g.) DRUG FACTS Active Ingredient in each Gram Petrolatum (White) 67% PURPOSE Skin Protectant USES: Temporary protection of injured or exposed skin as in minor cuts, scrapes or abrasions. WARNINGS: EXTERNAL USE ONLY. KEEP OUT OF EYES. STOP USE AND ASK A DOCTOR: If condition gets w..
Cleanze Ready to Use is an all natural, alcohol free, no burn anti-septic spray for tattoo hygiene which features an easy to use foamer cap. 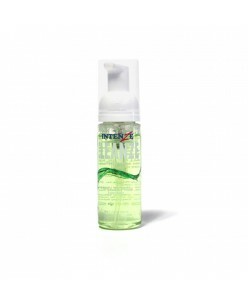 Cleanze Ready to Use preserves the quality and vibrance of the tattoo while cleaning and soothing the area to reduce redness and revitalize the skin. ..